The Training & Placement Cell endeavours to provide career planning and job seeking assistance to students. It is a preferred campus for many organizations to recruit the fresh talent nurtured at the college. In the journey towards excellence, many milestones have been set by the Department of Placements in terms of both “Quality and Quantity”. The excellent infrastructure facilitates different activities of placements like pre-placement talks, written tests, group discussions, and interviews as per the requirements of the organization. The consistent placement record illustrates the commitment towards the success of the student’s career. We offer 100% placement assistance. Students have no trouble finding coveted positions in reputed corporate and business houses. 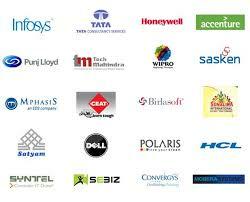 Renowned companies visit the campus every year, offering an excellent salary package at par with national standards. The Internship program offered as per RTU guidelines provides the student an exposure to real time complex situations and to handle them at an organization, This On the Job Practical Training program (Internship) is the part of the curriculum and lasts for one and a half months rated by the company guide and the faculty guide in assessing the performance of the student at the organization. The internship program enhances the student potential to have a real hands on work experience, exposure to organizational culture, and rigid of the work environment, innovate new ideas at the work place and practical application of the skills acquired.